This past weekend, we took a trip down to one of Adelaide’s favourite wine regions, McLaren Vale. We headed to the historic Kay Brothers winery to take a heritage tour and indulge in a private tasting. 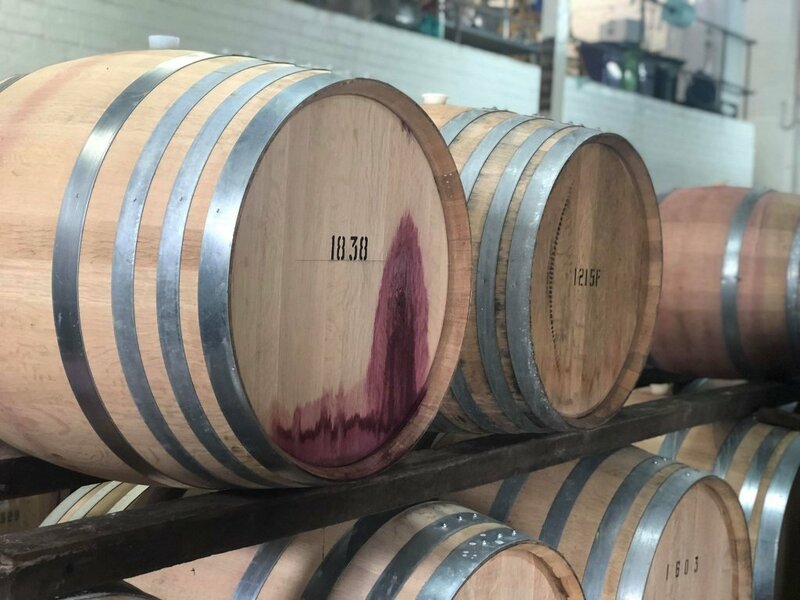 It’s an experience for true wine lovers, but wine novices looking to learn a bit more about the process will also enjoy the behind-the-scenes look. Kay Brothers is McLaren Vale’s oldest family-owned winery, established in 1890 by Herbert and Frederick Kay. The winery graces the foothills of the Southern Mount Lofty Ranges and boasts panoramic views of vineyards, valleys, and hillsides. 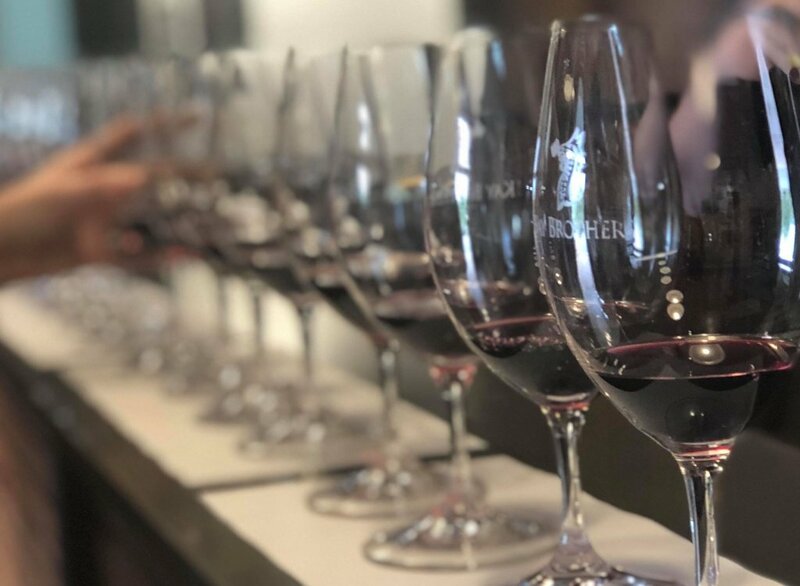 Cellar Door Manager, Josh Beare, notes that tastings were first introduced at the venue in 1956 and, at that time, consisted of little more than a card table and a few bottles of wine. “We’ve been lucky to have one of the longest operating cellar doors and vineyards in McLaren Vale that is maintained by the same family,” said Josh. Kay Brothers continues to produce wine in a very hands-on and traditional way. The original 1928 basket press is still in use, and everything produced is barrel-matured. The winery focuses on reds, with their 2016 Griffon’s Key Grenache winning both “Best in Show” and “Bushing Monarch” at the 2017 McLaren Vale Wine Show, as well as the James Halliday Grenache challenge. “We’re a bit different as we only do reds, with Shiraz and Grenache being our main focus,” continued Josh. All of the estate-grown fruit is traditionally processed on site, with open fermentation and large oak maturation in heritage stone cellars. We tried the Block 6 Shiraz (both the 2010 and 2016 varieties), with the former being our favourite from the tasting experience. The 2010 Block 6 Shiraz is a vibrant, and intense wine layered with blackberry, dark chocolate, spice, and liquorice flavours. Block 6 is a coveted wine, perfect for tucking away in cellar. Those looking for something special, or perhaps a Christmas gift for a wine connoisseur, should think about the Block 6. The Block 6 grapes were planted back in 1892 and continue to be utilised each year. Kay Brothers don’t put too much water on the historic block because it’s quite good at self-regulating. Another one of the Kay Brothers’ main wines is the Grenache. We tried the 2017 Griffon’s Key Reserve Grenache, an award-winning wine featuring hints of dark cherries raspberry, and strawberry. Kay Brothers only started making single variety Grenache in the late nineties, before the wine underwent a resurgence in Australia. Nowadays, Grenache out of McLaren Vale is really exciting, Josh says. 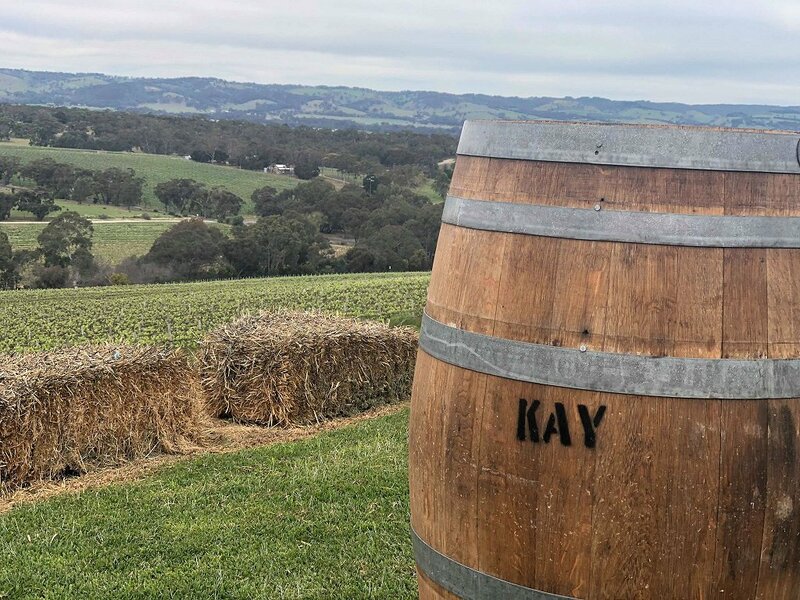 With an incredibly knowledgeable Cellar Door Manager, delicious wines, views for days, and a fascinating history, Kay Brothers will certainly continue to bring in those passionate about good wine. 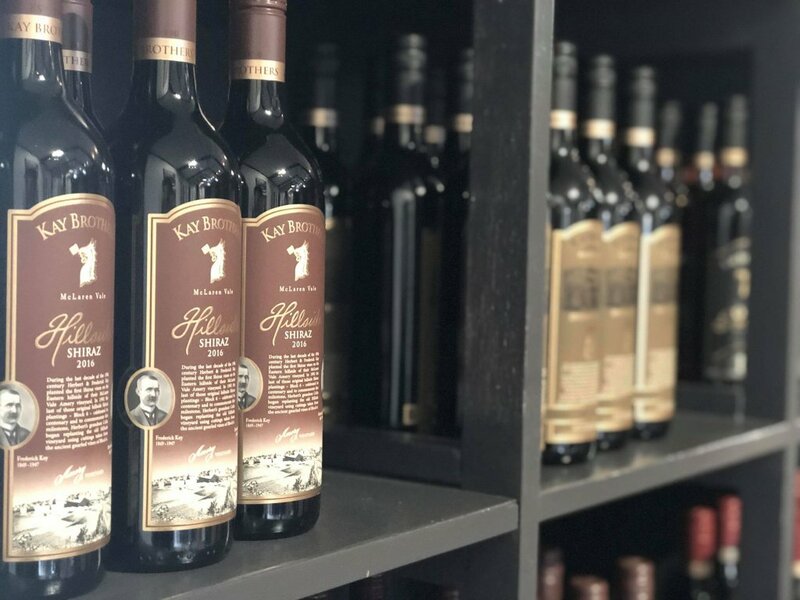 The Kay Brothers cellar door operates seven days a week and is located in McLaren Vale.